High numbers of children attending Autism Berkshire’s range of youth groups around the county mean we need more volunteers to work alongside the group leaders. We launched new youth groups for children with autism and their siblings in Bracknell, Slough, Windsor and Wokingham earlier this year, to build on the popularity of our long-established Games Club in Reading and the Bracknell CAYP Group. All have proved popular, so we want more adult helpers available on a regular basis to assist the group leaders and ensure there is the right level of support for the children and teenagers, aged 8 to 17, who attend the groups. These feature drama activities, ball games, table tennis and other running-around games, along with board games and art & craft activities. Click here for more information about all our activities for children and young people. 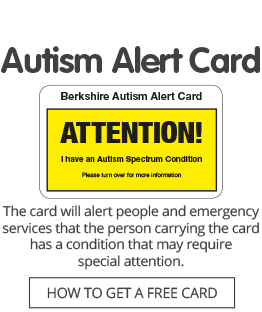 Click here for details of volunteering for Autism Berkshire at the youth groups or our other activities, or send an email to contact@autismberkshire.org.uk or call 01189 594 594. Our youth groups are funded by the Berkshire East and Berkshire West NHS Clinical Commissioning Group federations and Reading Borough Council, Wokingham Borough Council and Bracknell Forest Council.